What is the most exciting thing you’ve ever found buried in your backyard? An old dog’s bones or maybe a few coins? Well, these people have managed to find the truly strange. From fossils to baby foxes, it’ll make you want to double check your yard next time you get some gardening done! This wasn’t just any old fossil this was one that scientist’s called rare and unique. In 2015 a Southern Californian man somehow managed to dig up a 17-million-year old fossil as a teenager but wasn’t until he was in his 50’s that a museum took him up on his offer to donate it. This particular type of fossil, known as a Baleen is one of only 20 in the world. Now, if you’re a homeowner ready to renovate your home the last thing you expect to find buried in your backyard is a Ferrari but that was exactly the case for one Texas couple. It wasn’t just a lucky find though, in fact the Ferrari was actually more of a mausoleum. 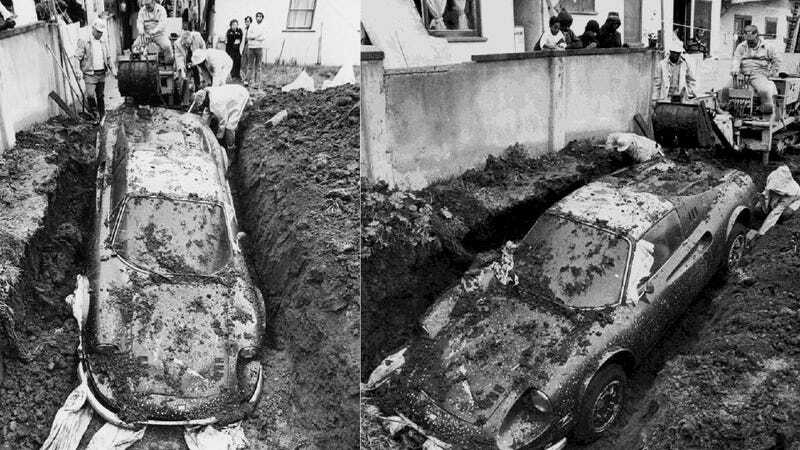 Yup, after a woman died of an overdose she had herself buried next to her husband in her Ferrari as per her will. You think you scored big that time you find a couple bucks laying in the dirt? Well this couple just put you to shame. The Nevada couple were walking their dog on their property when a metal can caught their attention. Next thing you know they unearthed the largest coin haul in the United States, ever. Imagine wandering into your backyard only to find a fully stocked bomb shelter. That’s exactly what happened to one Wisconsin family. 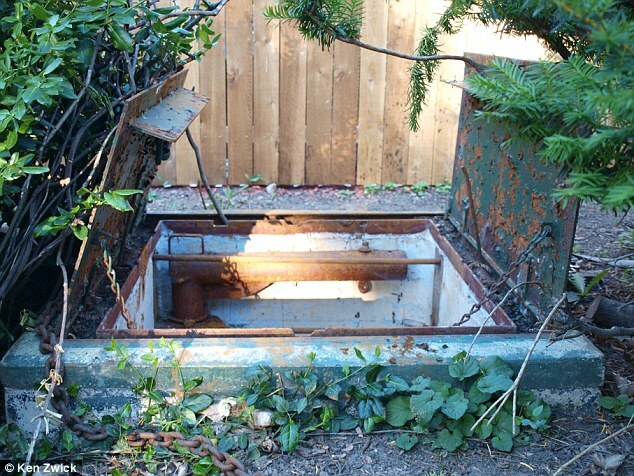 After over a decade of living in the home, they stumbled across what they believe to be a bomb shelter built during the cold war. Stocked with candy and everything! One lucky guy managed to uncover a massive stash of the green stuff! About $175,000 to be exact. 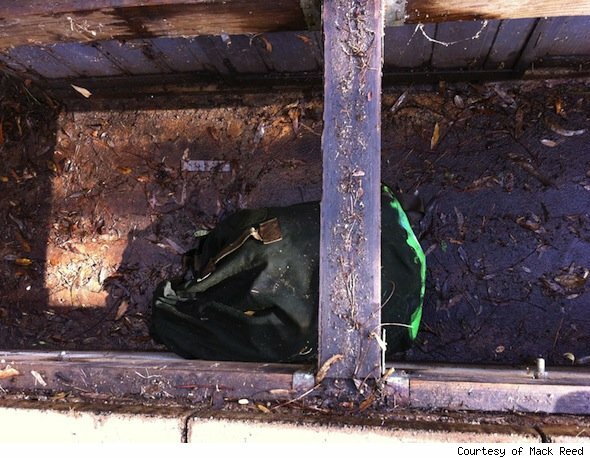 One young man was removing his hot tub when a secret vault was found, with a zip lock, waterproof bag of the drug. At first, he was super pumped until he realised someone might be in fact coming back for their stash. Being the good citizen that he was, he called the police. A what I hear you say? The Gytodon was an ancient species that died out about 10,000 years ago and was closely related to the armadillo. While it’s not unusual to find fossils of the extinct creature, a shell in perfect condition is definitely strange. So when an Argentinian farmer found this one in a sewer near the property he was working on, it quickly became an internet sensation. 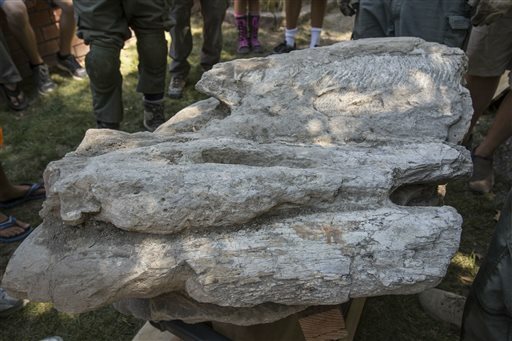 A Utah man was busy gardening one day when he dug up what looked like bones. Since he was pretty shocked and slightly uncertain what to do he called the police who quickly determined the bones were old. Like, really old. The bones were about a thousand years old and belonged to a Native American.